Bungie, a studio that managed to destroy over a decade’s worth of good will with a single game release, announced on July 7th (Bungie day, and the studio’s 25th birthday) a second year of “Moments of Triumph” to close out Destiny: Year Two before the release of the Rise of Iron expansion. Just like before, completion of various quests and feats in the game will reward players with various prizes. This year however has a few changes. Instead of ten feats there’s now eight, ranging from completing The Taken King’s main storyline and fully upgrading a Year Two subclass, to finishing the Reef and Prison of Elders quests introduced in the April Update. 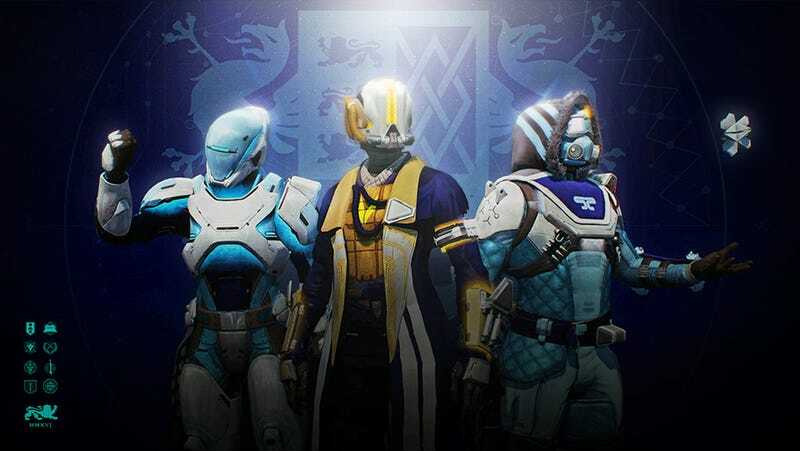 Also instead of a single rare emblem, players are rewarded with two rare emblems and a couple of shaders depending on how many Moments have been completed. However, the emblems and shaders are oddly enough not the main reward this time around. Completing all eight Moments will net players the chance to buy a special, customizable shirt from the Bungie store (also, yet another special emblem comes free with purchasing anything in the Bungie store from now until July 13). And before you ask, I highly recommend you try completing all the Moments first, because without them the shirt in question costs $777,772.77. With all the Moments completed though, it’s yours for the low price of $24.99 (with shipping and handling), and an extra $5 will give players the chance to print their Gamertag, PSN ID, or whatever handle you choose onto said shirt.